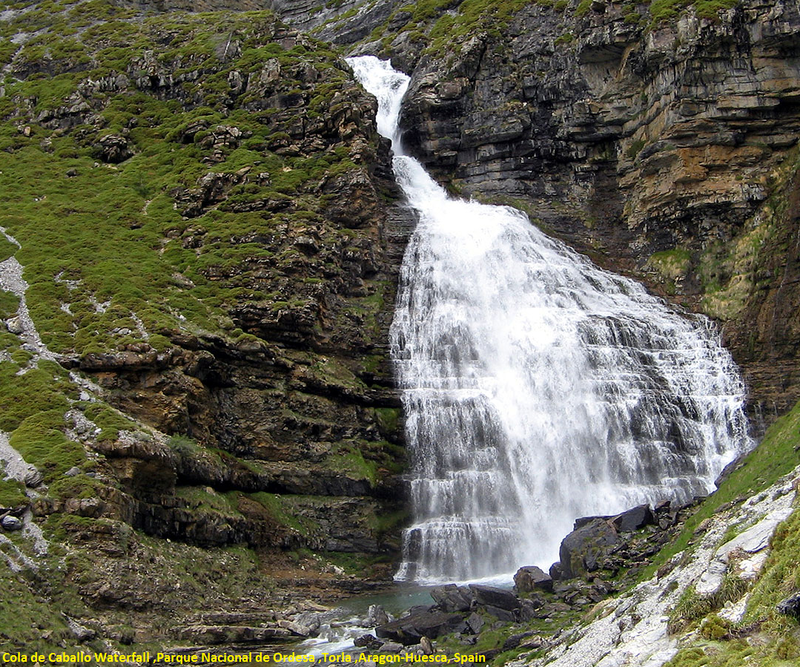 Cola de Caballo waterfall is part of Parque Nacional de Ordesa and is located near Torla in the region Aragon-Huesca, Spain. Cola de Caballo waterfall or Circo de Soasa waterfall is without a doubt one of the most beautiful waterfalls in Spain and one of the most impressive ones. The river Rio Arazas thunders down over 100 meters creating one of the best horsetail waterfalls.The Cola de Caballo Trek not circular, and ends at the spectacular waterfall that gives name to this route. During the tour, you will see a very beautiful landscape, lush forests and rushing rivers.